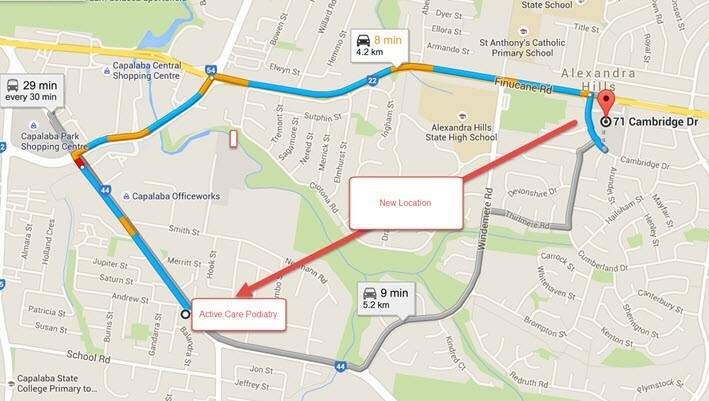 Active Care Podiatry has been servicing the Alexandra Hills and Redland region since 2003. Over this time we have been located in the Alexandra hills shopping centre alongside Active Care Physiotherapy. We have now moved in to our new premises which is located 4.2 km and 8 min drive from the Alexandra hills shopping centre.